Who is Shakespeare’s Dark Lady? A question that has plagued literature researchers and histories for centuries. Sally O’Reilly takes an old theory and wraps it up in magic and misery to create Dark Aemilia. The story centres around Aemilia Bassano, later Aemilia Lanyer, who was a real historical person and the subject of a now discredited theory that she was Shakespeare’s Dark Lady. As a minor personage at court, she dreams of becoming a poet. However, life is not on Aemilia’s side and things go from bad to worse, after she meets her soul-mate and sometime nemesis William Shakespeare. As a protagonist, Aemilia is fairly engaging. She is sexually liberated, vocal but not outspoken and has a realistic world view. However, like many attempts at creating a feminist in a period where feminism did not truly exist (like Mists of Avalon), she did come off a little whiny at times. Also, her attraction to Shakespeare and her refusal to give into it seemed more of a trite plot point than any sort of reasoned, compelling motivation. The evocation of Tudour/Jacobean England was superb. I really did believe I was there and felt fully immersed in the world of Aemilia. Her representation of Elizabeth I felt new – usually Good Queen Bess gets turned into a silly girl or hardened villain. O’Reilly’s Elizabeth I sat firmly between the two (and seemed historically accurate) – a leader who has had to do difficult things to hold onto her crown, a Queen who believes in her divine right to rule and a woman with a tragic upbringing who is full of regrets. Finally, she becomes an old woman struggling to make her peace with her coming death. I would urge O’Reilly to write a novel about her, she has captured her beautifully. One thing that grated at me the whole novel (and it could have been intentional on the part of the author) was Aemilia’s attempts to become a poet and secure a patron. People kept turning her down and she kept believing it was because she was a woman. I’m sure that had something to do with it, but in earnest, her poetry was just really bad. Do not think this is a novel about witchcraft, despite the opening page. There are magical elements that intensify as the novel progresses, but it is really more of a confusing plot point than a theme. When magic does finally come into it, it is not well explored and the conjuration comes across childish, drug-induced, and somewhat silly. If you are looking magical fantasy, look elsewhere. It’s a shame these elements were not better addressed – the mention of witchcraft is why I did not disregard this as another Alison Weir style romance novel. Or perhaps they should have been left out altogether. 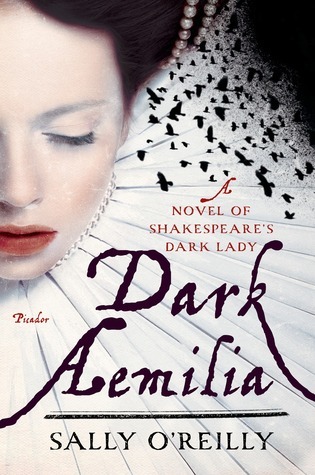 All in all, Dark Aemila is definitely worth a read to fans of historical fiction.